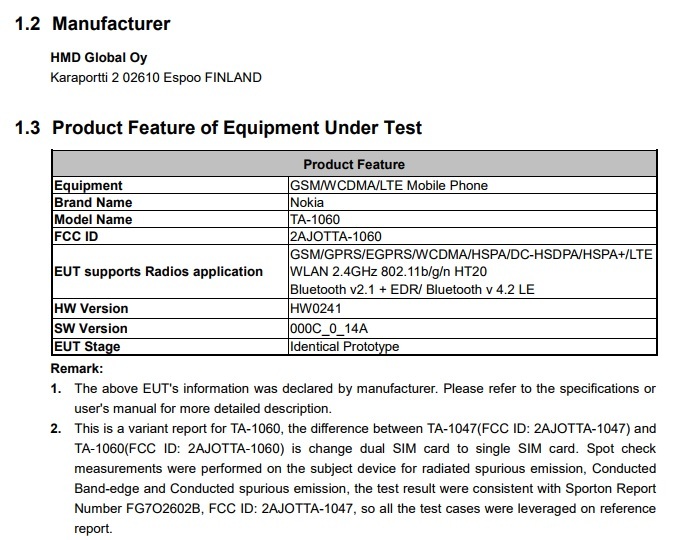 HMD has got another test report from the FCC for new Nokia device marked as TA-1060. This device is single Sim variant of the TA-1047 that passed the certification few days earlier. All the specs are the same and the only difference is the one SIM tray. 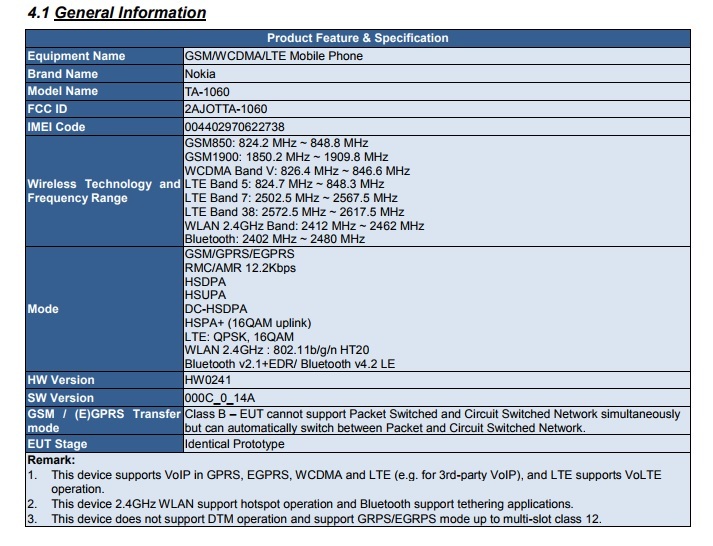 You can see all the known specs from the headline photo (or the one below). Not much has changed. This version of the device won’t be available in the US neither. 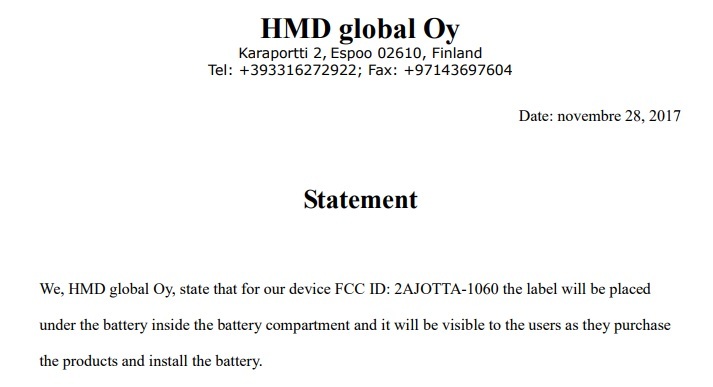 The only thing new that is seen from the test results is that the battery of the device will be removable, which is common for the feature phones.